Every year around this time, tax experts get together and use inflation data to project what the next year’s income tax brackets will look like. Last year, we had the added complexity of the fight over the fate of the Bush-era tax cuts, which could have changed the tax landscape entirely. 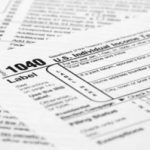 Ultimately, the tax cuts stayed in place and the 2011 income tax brackets were essentially a slightly modified version of the 2010 tax brackets. This year, there is no such drama, so it’s really just a matter of adjusting the brackets (and the standard deduction) for inflation. Over the past year, inflation has averaged 2.43%, which is slightly below the average over the past 20 years, but higher than the previous year, when inflation ran at 1.48%. While the IRS uses a somewhat convoluted approach to make their adjustments, the good folks at the Tax Foundation have already run the numbers. Looking ahead, last year’s fighting resulted in a two year extension of the Bush-era tax cuts, which means that their currently set to expire at the end of 2012. As for what 2013 has in store for us, your guess is as good as mine. Related: How Do Federal Income Tax Brackets Work? Find and apply for a 0% balance transfer credit card or the best cash back credit card with no annual fees. Do you have updates for the 2013 year? We have a progressive and flat fed tax rate. It’s progressive up to 35% and flat from 35% on. For most taxpayers it’s a progressive tax, and flat for the remaining income of those with income that falls in the 35% tax bracket. The question is, to who’s advantage is this combined system? Not most tax payers when it comes to paying down the national debt! oWe have a progressive and flat fed tax rate. It’s progressive up to 35% and flat from 35% on. For most taxpayers it’s a progressive tax, and flat for the remaining income of those with income that falls in the 35% tax bracket. The question is, to who’s advantage is this combined system? Not most tax payers when it comes to the national debt! I think to many miss the big problem of today. The govt just wants your vote so they collect a big paycheck plain and simple. Now as for taxing the rich more than lower incomes. If you were rich would you live here and pay a high tax rate or move abroad and come here for “visits”. Look at where the jobs are going people and you’ll find the money. There are jobs here,but how often do you hear the words ” I can get more on un-employment” or welfare ? Only the sheeple believe that inflation was 2.4%. One would have to be a complete idiot to believe that nonsense. The Federal Reserve is made up of liars and thieves. All this talk of % and who pays what seems to ignore the basic math. Lets break it down this way. If the entire income (wages and capital gains) of the US was $100, and lets say for arguments sake, that the 1% gets 90% of that income. And lets say that everyone else gets the 10%. Then lets say that we need to get 30 dollars out of 100 as tax. The bottom 90% would pay $3, and the 1% would pay $27. So the 1% would be paying still 30% income tax, and the 90% would be paying 30% income tax, and yet the rich would be paying 90% of all the taxes. This is not a call for a flat tax, this is basic math. Stop pretending that by paying more of the taxes that the wealthy are being unfairly taxed. Now, its not a call for a flat tax, b/c the poor/middle class should not have to suffer a 30% income tax in this environment. It’s socially unfeasible and cruel. It was easy for America to be so strong in the 50’s when the rest of the world was in shambles after WW2, and there was no foreign competition for the domestic manufacturing jobs that have since been shipped overseas. And all this talk of billionaires being in the top 2% is silly. To be in the top 1% one only needs to make about 350k per year. A flat tax is not possible. All it would do is save money for the people who have not been paying what they should have been paying all along. The top 1% of this nation controls 1/3 of its wealth, and the top 10% controls 2/3. Think about that. Top 10% controls 2/3 of the nations wealth, the other 90% of the nation controls 1/3. Our debt will continue to rise faster based on the weakness of the dollar, which is going to drop faster and faster once our consumers (ya know, that bottom 90% that barely has anything to spend as it is, and you think raising taxes on them via flat tax [which is what you would have to do] is going to help? HAHA) are all in poverty. What amazes me about capitalism is the idea that there is an unlimited amount of work out there and that there is no excuse for someone to be out of work? Are you people insane? Technology has killed many jobs people used to be required for, leaving nothing left but “service” oriented professions. The problem with that is that you aren’t selling anything concrete, and the first types of jobs to go when the economy goes bad are “service” professions. Get it through your heads: There are not enough jobs out there for everyone. So please stop acting like its laziness and people just don’t want to get jobs. Also, please tell me this: Someone looked at those tax brackets and said America has become anti-achivement and anti-work. Really? So, back in the 1950s, when this nation was the strongest nation in the world by far, and the top 2% were paying around 90% income tax that America back then was anti-achivement and anti-work? I mean, you said we have become this way, but how is that possible? We have done nothing but lower the taxes on the top 2% over the last 60 years. In fact, even in the 70s, the top 2% paid an income tax of 70%. Thats a fact. So why anyone can complain that these billionaires have to pay 35% (where in Europe they would be paying +50%) when in the past they had to pay as much as 90%, and 70% and 50%, etc.. When Ronald Reagan came into office, the tax rate on the top 2% was 70%. One of the first things he did was drop it 20% (a HUGE amount of money lost in revenue) because he was a capitalist. Now, lets make it clear to these capitalists. Before your capitalist style took over and do not try to say it was a capitalist nation back when we were charging the top 2% 70% – do not even try – we have BECOME a capitalist nation, not nice versa – god, its amazing that some of you are so brainwashed and know so little about how the system actually works, yet you let off your opinion like you know what you are talking about because you saw someone on the television say something and you assumed they knew what they were talking about and you probably assumed they knew what they were talking about because they were saying something you wanted to hear. Lets just take a look at the facts (just the facts) and then everyone can decide what they think. When Reagan came into office, the income tax rate on the top 2% was 70% exactly. He dropped it 20% (the largest drop in history up to that point) down to 50%. This is where republicans and war come into play. As I said, our nation had no debt when Reagan became president. Now, Reagan was president during the cold war, so we can give him so understanding as to how much he spend on defense, but just a little understanding. You see, we were creating nukes faster than we can create planes, and during Ronald Reagan’s presidency, the United States built enough nukes to destroy the entire surface of the planet 100 times over. Now please tell me this: Why in the world would a military spend so much money building so many nukes that can destroy the planet 100 times over? Wasn’t enough to destroy the planet 1 time enough? LOL. So, Reagan is spending all this money on defense, and considering the majority of the people when asked say the first responsibility of our government is national defense, I am having trouble understanding why Reagan LOWERED taxes when our military was spending so much taxes. If anything, it would have been helpful, like in the past, to raise taxes. Instead, Reagan gave the United States more than 2.5 trillion dollars worth of debt. And if you thought Ronald Reagan could not screw up any worse, you were wrong. After already making some of the worse and confusing decisions in history (its not confusing anymore when you realize he was just a pawn), Ronald Reagan, right before leaving office, dropped the tax rate on the top 2% from 50% (remember, he already had dropped it when he came into office from the 70% to 50%) down to 28%. So, Ronald Reagan came into office, built so many nukes that were unncessary that we ended up having to spend money destroying them. Talk about waste waste waste by big government. I thought the republicans were supposed to be against that! HA! So, the money we had to spend destroying all the excessive nukes Reagan spent more than 2.5 trillion building, makes the debt he put us into higher than any president in history adjusting for inflation. Reagan actually hurt the debt (well, he started it) more than Bush (who added more than 5 trillion to it while AGAIN lowering taxes despite spending that much money on defense – and yet the republicans have the nerve to say the reason we are in debt is because of our spending too much on social programs?!?!). Sad sad. Even Bush Sr., a republican, realized Reagan went batshit crazy probably long before people knew, and raised the 28% back up to 31% (WOW! – not). It took Clinton to raise it back to 39.6% which enabled him to balance the budget (but he could only do this because of the strong economy in his term (he got lucky to be president at the right time) due to the internet and all the dot.com companies, etc.. However, once that burst at the end of Clinton’s terms, the problems that existed actually started to sink in. However, then we were saved again a little later by a housing boom, but that was only because of the banks giving out these loans that people could not afford. Dont you see? That is how the republicans work. Band-aid solutions that only hurt is in the long run. Bush was the one who allowed everyone to get these absurd loans in his “everyone Americans dream is to own their own house” program. What was the result? The people lost all the money they put into the house and lost their homes. Well done Bush. Now foreclosure is rampant, and poverty is higher. Yes yes, lowering these taxes on the rich is realllllly creating jobs and helping the economy. The debt is only 15 trillion and climbing and climbing, weakening the dollar. If capitalism worked, why do the facts show that at the height of our nations power, we were taxing the top 2% 90%. And guess what? There were TONS of rich people back then. Its not like there was a shortage. There probably just wasnt as many obscenely rich people that there are now. These people who have 10s of billions, more money than they will ever spend, and yet they will flip out if you try to raise their taxes by 5%. Even if it meant saving the nation. They don’t realize if we don’t, their obscenely rich amount of dollars, will soon be an obscenecly rich amount of paper. Where is the bottom 90%? Where are you? You may be republicans on other issues, but that doesn’t matter right now because those other issues are moot when this country falls. We are close than many people realize and it could be war soon if that is the solution the top guys in this country are thinking of. Outside of raising taxes on rich (which most republicans have signed a document saying they will never vote for raising taxes, closing loopholes in the tax code or voting to put more regulation on corporations), the only way for our country to survive would be to destroy the countries that we borrowed from. World War III. So, as I was saying..If you are a republican for other reasons..stand up and tell your republican leaders that you WANT the taxes raised on the rich. There are tons of you out there who are republicans but suffer because of republican economic policy. You are voting for the party that stands for the “ideals” you may think they share with you, but they are politicans. They are liars and will say whatever is most popular among the group he is currently with. Trust me, they don’t care about you. Tell the republicans that you will not vote for them until they make these obscenely rich billionaires and multi-multi-millionaires start paying higher taxes. I mean, it was 90% in the 50s, 70% in the 70s…Would it really hurt these billionaires so bad if we just took it back up from 35% to 42%? No. And if we did, we could pay down the principle on the interest, and start paying down the debt, which would increase the power of the dollar, and help the stock market, with good things to follow. People, we need to raise taxes. Its no coincidence that when we had the highest rate on the top 2% we were the strongest nation by far…As we have lowered those tax rates, our debt has gone up, the strength of our currency has gone down, and our economy compared to others has been equalized. We are no longer the super power anymore. We are just one strong power of about 5 or 6, however, we are in much more debt than all of those countries. The debt continues to grow higher and higher. I am so amazed that so many americans are oblivious to what is happening. Why do singles pay more in taxes than married couples? I will be retiring n May with a reduced annual income, around %51000 per year. What amount in taxes should I be expected to pay each year?? What is ironic is they talk about the “Bush Tax cuts” when in fact we didn’t cut anything. If nothing changes then that’s not a cut that called staying the same. According to this chart my tax will be increased this year…. Ironic that an increase in tax brackets = a decrease in tax rates. So the above is actually good news for most Americans, particularly if you are not going to get a raise (again) this year. I know there has been discussion before on the FairTax on this site. With heightened interest now and the upcoming presidential election, I would love to see another post(s) on it! I’d support a flat VAT-like sales tax. Time to start taxing imports (and bringing jobs back to America) from all the countries that charge a VAT on our exports. RON PAUL FOR PRESIDENT ! P.S. Replace the income tax with a national sales tax. Something like Neal Boortz’s FairTax proposal. Currently, tens of millions of people in this country are working off the books and paying no income tax, predominantly illegal aliens. They would pay the national sales tax along with the rest of us. That’s much fairer, and it will bring in more revenue than the current system. We’d better use that revenue to paydown our debt, not spend more. Hi Mary, we are Dave Ramsey fans and heck yeah, we support a flat income tax over the current “progressive” (anti-achievement, anti-work)system. The current system is needlessly complex, costly, intrusive, and unfair. Ideology and philosophy aside, it is mathematically unsustainable for HALF of Americans to pay zero federal income tax. The rest of us CAN’T afford to pay for the whole federal budget without their help. And no, it’s not enough for that half of America to pay Social Security and Medicare taxes — those are supposed to pay for as much of that person or family’s SocSec and Medicare benefits as possible, not be thrown into the general fund and spent on something else. Even better than a flat income tax is this: repeal the income tax, and repeal the 16th Amendment so the fed gov can never again steal directly from our paychecks. I don’t know why I never thought to think about federal tax brackets before; I didn’t even know which one we were in. Thanks for sharing; I’m going to link to this on the Dave Ramsey boards. I wonder how many of your readers support a flat tax? Is it me or is all the tax numbers just crazy?